Ph.D. in Arts is a 3-year Doctoral level program of Arts study primarily divided into arts and designs. Qualifying Masters’s degree in Arts or earning an M.Phil. in Arts with aggregate marks of 60% marks and above is a prerequisite for admission. The course dwells into the various dimensions of Arts field, offering candidates a choice to pursue their research program in their area of preference. The average course fee falls between INR 1.17 to 1.45 Lacs. Clearing various entrance examination held for the Ph.D. program is a prerequisite for furthering the admission process. The selected candidates will be called for an interview session. The admission will be further processed on the basis of merit list marks obtained after calculating the respective scored of entrance test and interview. The program centralizes on carrying out research work pertaining to the field of arts assisting candidates to perform eminent research work in this field. Candidates who have a deep interest in the subject and those are interested in the field of arts are considered beneficial for this program. Having good interpersonal skill and communication skills can add to the advantage. Gaining a Ph.D. in Arts is beneficial to advance the knowledge in the field, thereby creating expertise in the subject chosen for specialization. This calls for candidates to possess good analytical and innovative skills to understand the depth of the subject and conduct thesis in the specialized subject. Doctorates are free to choose their career after the successful completion of the subject making them professional experts in the field. They have opportunities in the area of academics, research and development, archivist as well as can work as consulting agents in the subject matter. Doctorates earn a handsome salary which ranges between INR 2 to 11 Lacs per annum. Eligibility Qualifying MA or M.Phil. degree with an aggregate of 60% marks for General Category and 55% marks for SC/ST category/Entrance Examination/Interview/Work experience of minimum 4 years. Top Recruiting Companies Research, Fine Arts, Designing, Academics, etc. Job Positions Art Administrator, Art Therapist, Multimedia Programmer, Professor/Lecturer, etc. Ph.D. in Arts: What is it About? The field of Arts is a vast arena which consists a variety of subjects which can be chosen for specialization. The doctorate program in Arts offers candidates the opportunity to explore the field in depth and gain expertise in the particular chosen genre. Candidates can choose either field of communication studies, political science, psychology, linguistics or history as their specialized subject in the final year of the study to conduct thesis further in the subject. The program consists of a detailed study into the field concentrating on the aspects of how to formulate a research thesis. The course collaborates the two dimensions of the subject which includes arts and design. The study of which paves the way to become experts in the area of research and take up the profession of eminent professors in reputed universities and colleges. The Ph.D. in Arts program is covered for the duration of 3 academic years. Those students who have relevant work experience are considered beneficial for the program. The curriculum comprises of seminars, project work, field work, assignments and attending workshops. The coursework is generally covered in the first 2 years of the program, dedicating the final year solely for conducting thesis. Ph.D. in Arts doctorates have lucrative opportunities in the varied sector of the industry. They can opt to become researchers, professors in reputed universities and colleges, as well seek employment on national and international grounds. The segments of Arts comprises of Fine Arts, Visual Arts, Politics, history and many more. The course aims at providing a guiding light to the students to become competent researchers and conduct thesis in the area of research. Candidates are supposed to qualify their Master’s degree in the stream of Arts or hold an Honors or an M.Phil. for admission to the program. An aggregate of 60% marks is prerequisite in the case of General Category applicants with a relief of 5% in the case of SC/ST. Passing the entrance examination held for the Ph.D. program is compulsory. Having a minimum 4 years of professional work experience is beneficial for the program. Certain colleges or Universities may require candidates to clear the Interview process. Applicants who are selected will be notified for attending a further session of Personal Interview which is held to determine the strengths and zeal of the candidate. Computing the overall marks obtained in each, the final merit percentage would be calculated. Applicants are supposed to apply for the course online. All the important details about the program, the dates of admission will be listed on the official website of the college. The curriculum comprises of a comprehensive manner of study which envisages to provide the student an in-depth knowledge of the subject chosen for specialization. The program presents a rigorous and dynamic environment for carrying on the investigation of ideas and production of art. A balance is maintained in between practice and theoretical concerns for comprehending the program. Ph.D. in Arts qualifies candidates to carry on the individual as well as team research in the preferred topics. Arts being a vast field of study trains candidates in varied dimensions. Candidates get the opportunity to examine specific problem, issue or topic and contribute in suggesting a solution to the problem. After the successful completion of the program, candidates have a lucrative opportunity in the areas of research, as academics, Administration, Designing and so on. 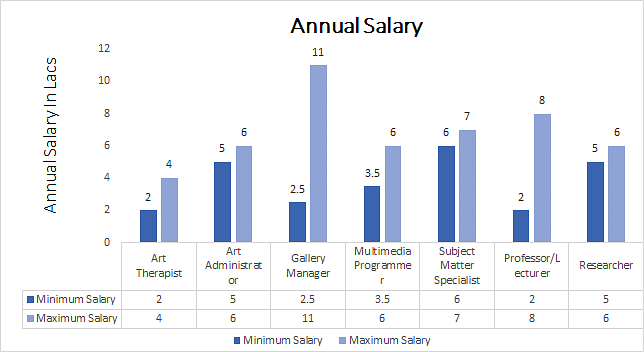 They can become Art Therapist, Art Administrator, gallery Manager, Multimedia programmer, and much more.